Presenting Coyote Music's Top 15 of 2015! Since we began tracking what's popular on our site, the monthly Top 10 is a consistently popular destination. So now, for 2015, our 20th year, we proudly present the year's Top 15, compiled from page visits, appearances in our monthly Top 10, Facebook Likes, and Tweets. Luka Veselinovic crossed paths with Coyote Music in early 2014. Our interview with him covered his time at Berkelee School of Music, his love of both punk and jazz, and the differences between gigging in Croatia and the United States. Our friend Paul gained an 'L' in his name, helping to distinguish him from Saxon's guitarist, actor Aiden Quinn's brother, a university, and assorted other songwriters bearing the same name. Paull now has a new song out and wrote the music for a 2012 short entitled "Northern Cowboys." Maggie hasn't performed in several years, but her music and videos still draw fans online. 2015 marked an historic reunion of one of San Antonio's legendary rock acts. Heyoka reunited after about 3 decades of silence. Their show at The Aztec Theatre brought out hundreds of fans, both old and new. The group's blend of classic and progressive rock sounded as fresh today as it did in the late 70s and early 80s. Nashville's Ben Rue took the country music scene by storm in 2014 with his version of "I Can't Wait (Be My Wife)." The song's video has over 1/2-million views on YouTube and its lyric video, released 3 months earlier, has over 200,000 views. BAM (an acronym for Brownsville Artists and Musicians) is a new venue that serves as an indie-artist's crown jewel in South Texas. Located in the heart of downtown Brownsville, Texas, just blocks away from the Texas/Mexico border, BAM has brought both popular and emerging musicians and visual artists in from all over. And at the same time, it has become a haven for up-and-coming local artists to display paintings, create murals, put on drag shows, and perform music across numerous genres. They're from Lubbock, right? The debate rages on, but nasty country boys The Beaumonts lay down their own brand of twang, a la Hank Williams, Jr., but not nearly as sweet and loving. Hailing from Sacramento, California, Mr. P Chill has cranked out original Hip-Hop albums and toured the country supporting them for the past two decades. He's doing music the right way, for the right reasons, earning his loyal fans one at a time. "Chasca made me believe in rock 'n' roll again," said a first-time Chasca concert-goer. 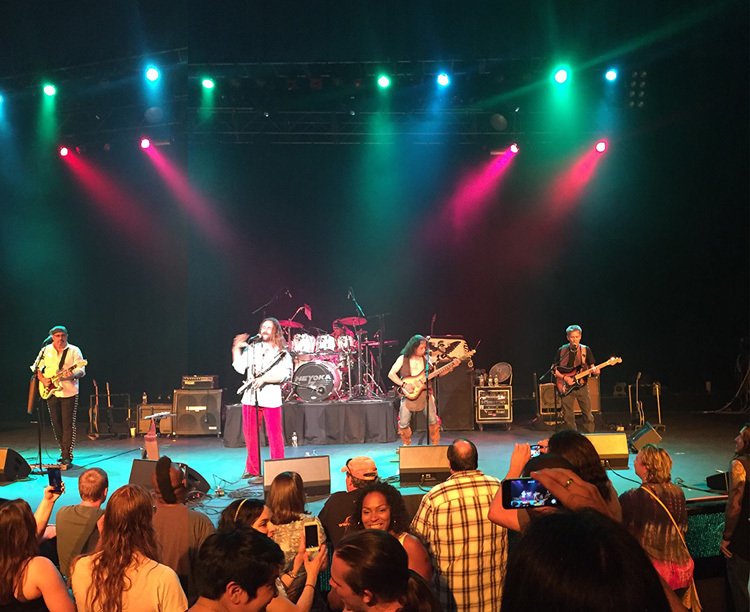 The band's glam/prog rock shows tend to leave new audience members stunned in utter delight. Falling somewhere betwixt their influences that include Queen, Jethro Tull, and The Rocky Horror Picture Show, Chasca's singer J.T. Martin has declared 2016 "The Year of the Bonobo," which may imply that this year looks to be a good one for the band. 2015 saw Nina Diaz's solo project come into its own. With Girl In A Coma still fully in tact, 2014 was the year for the band's members to step out into a couple side projects that have really taken on a life of their own. GIAC bandmates Jenn Alva and Phanie Diaz have taken the punk world by storm with Fea, but Nina's personal self-discovery took the form of her eponymous band that evokes a slightly more Morrissey-esque, introspective sound. These boys are freaks. And they'd be happy with that description. 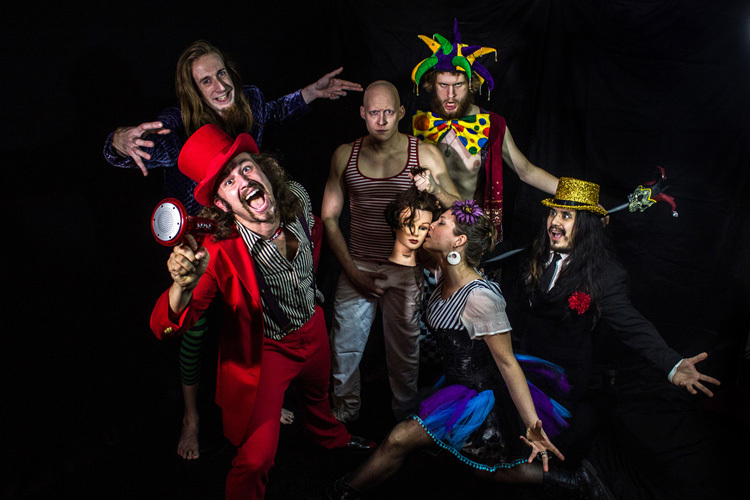 A virtual carnival on a rock stage, Michael Kiddoo and his band of misfits don't merely entertain with onstage trampolines and freakshow-inspired costumes—their blend of funk and metal is on point and not to be missed. Hickoids are over 30 years into their cowpunk crusade and they, like a fine chilled Ripple, seem to only get better with age. In 2015, the Hickoids rode the high of being inducted into the Austin Music Hall of Fame. But then just very recently the group took a heavy emotional hit with the passing of longtime guitarist Davy Jones. Davy would want the hay-slinging to continue full-throttle, though, so the corn-loving antics of this San Antonio / Austin punk rock legend shall go on until further notice. Austrian-turned-Austinite Ulrich Ellison garnered his first Austin Music Award in 2014, for Best Blues Band. That carried him into 2015, where a new album, Bold, is nearing completion. In 2013, Blake Morgan exchanged some emails with Pandora founder Tim Westergren. The Huffington Post published those emails and Pandora lost $130 million in the stock market by the next day. The #irespectmusic campaign was born at this time, rocketing Blake into the offices of congressional representatives and morphing his life from a musician and label owner into a powerful advocate for musicians' rights. Amanda made a name for herself at a young age, playing with the likes of the Texas Playboys (at 15, no less), Thrift Store Cowboys, and Jason Isbell. 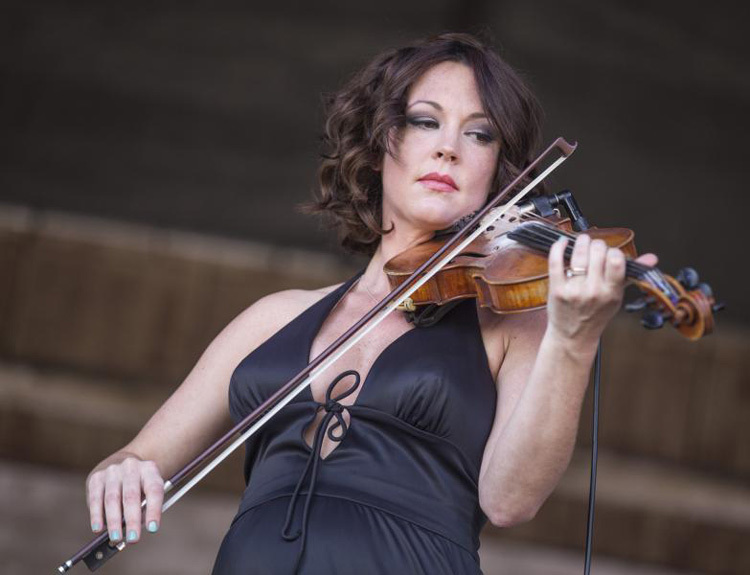 Now married to Isbell, Amanda finds herself succeeding on all fronts: solo career, gig as a violinist/fiddler, wife, and most recently mother to a beautiful baby daughter.